As technology shifts and changes our cultural landscape, it was only a matter of time before it came for our homes. That’s right, you’ve probably heard the term banded about quite a lot over the last couple of years, but ‘Smart Homes’ are fast becoming the next big thing in real estate. In fact, the smart home market is predicted to boom over the next few years to a value of £127 billion by 2026, and you can even find the UK’s smart home hotspots – so you can get buying in advance. With many companies working to make the technology function as best as possible like Schneider Electric, and companies like Amazon and Google launching hugely successful devices, here are some of the true benefits of a smart home. The most obvious benefit here is the convenience that they bring with them. 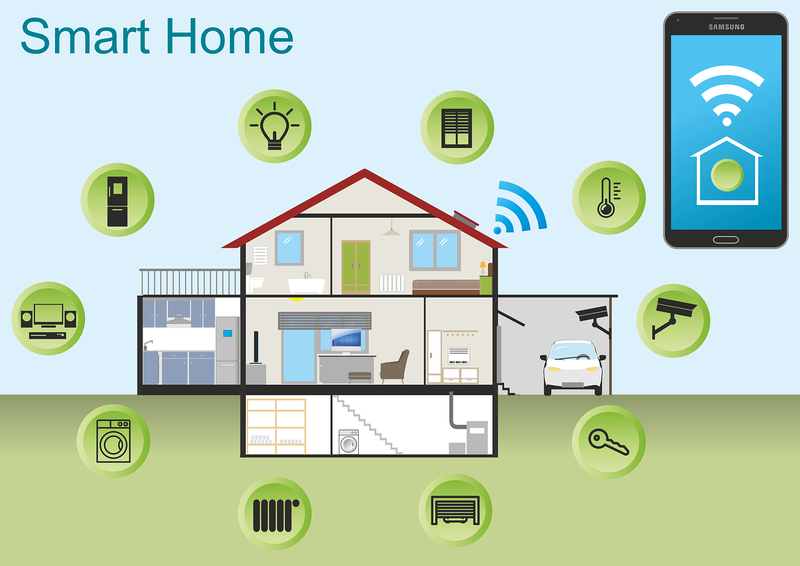 With a home running on smart technology, you’ll be able to control everything with a few clicks of a button. With most devices operated through an app, you’ll be able to do everything from switching on the oven or washing machine to turning the lights on and off without having to do too much. This can even be done on the move, meaning you can pop the washing machine on before you get home, or even turn the heating on. Of course, one huge bonus is safety. Having the ability to operate devices on the move is great, as you can make sure you can turn your lights on and off while on holiday, meaning your home shouldn’t be as susceptible to burglaries. Then there are things like accidental house fires from unattended ovens or irons. These can now be switched off while on the go as you monitor them, and you can even have security systems installed that you can monitor too, often featuring video cameras. As you’ll have complete control over everything like heating, you’ll be able to control it more precisely. A smart home makes programming a smart thermostat and managing temperature much easier, and you can also ensure plugs and lights are switched off too. Linked to the above point, being able to control energy in your home will lead to savings. Being able to control electricity wherever you are, turn your heating on and off and even make sure electric is cut off from plug sockets that aren’t in use, will surely be a great thing once you receive your next utility bill.